‘Futures’ – an exposition of 52 creatives. Won’t you follow me to a great exposition?! 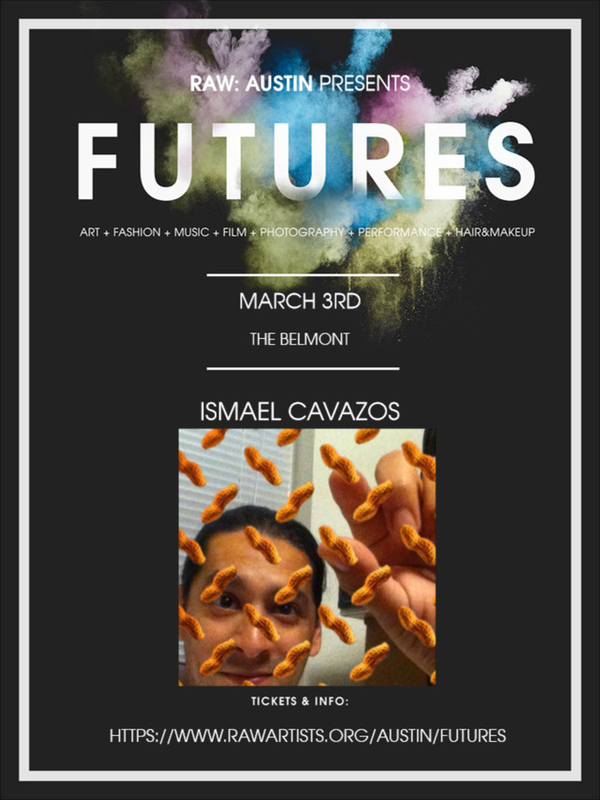 On March 3rd, at the Belmont, you will experience an independent film screening (usually a short, webisode or music video), a pop-up gallery featuring several independent visual artists (like me) and photographers, fashion shows from up-and-coming local designers, live musical performances, vendor booths featuring local artisans and accessories designers, and live performance art. You’ll get a little taste of everything for just $20. Combine all this creativity with drinks, fun, and good company in downtown Austin and you win!